Meet your customers on the go! Do you know? On an average, Mobile Applications convert 300% higher than Mobile Website! Deliver exceptional mobile experiences to your customers with on-demand native apps that boost your store engagement and sales like never before! 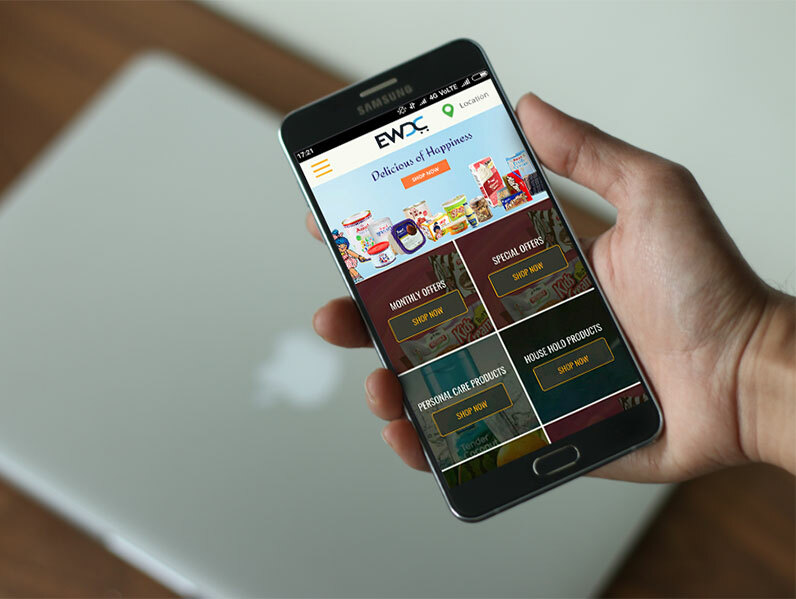 EWDC offers classy eCommerce mobile app solutions to boost your mCommerce in both Android and iOS application platforms. Build long-lasting loyalty with customers, increase conversions and revenue to your retail business with our eCommerce mobile application development services. With the revolution of Smartphones, it has never been so easier to reach customers on the go, and also to make them purchase on mobile devices! At EWDC, we help you establish and expand your online store reach to mobile shoppers through mobile commerce apps designed for eminent app platforms. In search of an instant Android mobile application for your eCommerce store? EWDC's readymade Android mobile app framework provides all the features required to sell effortlessly on a simple yet intuitive interface. As real-time sync will be establishing between your web and Android mobile app, the changes done to the product orders, updates, and other changes on the website gets instantly synchronized into your mobile application on one go. This Android mobile commerce app is a native solution which enables you to deliver a strong user experience to your store customers on Android devices. 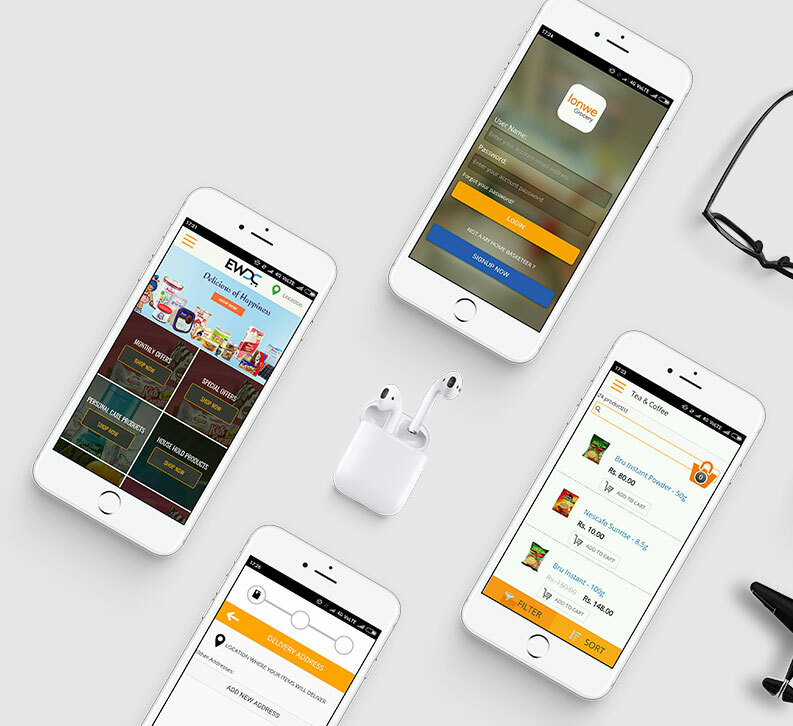 If you are keen on looking to create an eCommerce iOS app, we have a solution in hand! 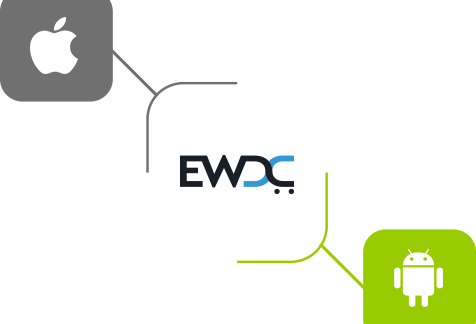 EWDC's readymade iOS framework helps you build native mobile apps for iPhone and iPad users. Run your online retail business the way it aimed at by offering beautiful mobile experience to your store visitors. This eCommerce iPhone application was highly optimized to deliver a remarkable increase in conversion rates, yet it is entirely customizable to your needs as a vendor. Make your online store truly mobile-friendly to your store customers by having your web app in-sync with your native iOS eCommerce application! Our Magento based eCommerce mobile apps extension has powerful marketing tools that enable you to nurture and grow lasting relationships with your potential customers. Enables to engage directly with your buyers by sending instant alerts to their mobile phones right on their lock screen. Encourage customers to revisit your store and shop products by creating emergency with new deals everyday. Affiliate programs to bring in new customers as well as re-engage with existing buyers through offering premium points. GPS-enabled store locator allows your shoppers to receive location, working hours, and contact details of your store. The user-friendly dashboard lets you analyze your performance metrics to make data- driven decisions on your mobile marketing. Direct your buyers to product or cart for immediate purchase using the mobile scanner that your online store and mobile experience. Secured payment gateway along with simple checkout process is crucial for both web and mobile apps for a quick shopping experience. Develop mobile-centric incentives to capture the mobile users and increase conversions effortlessly by creating promotional coupons. Simple order tracking system enables your store buyers to track orders from warehouse to their doorstep. Go Mobile in-sync with your online store! Deliver your product, content, and selling experience into a compact mCommerce enabled iOS and Android Smartphones app! All our eCommerce mobile applications work in synchronization with web app backend based on Magento for a variety of industry verticals including grocery, fashion, consumer electronics, furniture and more. Launch beautiful seamless mobile apps for iOS and Android that can be fully integrated with your online store!